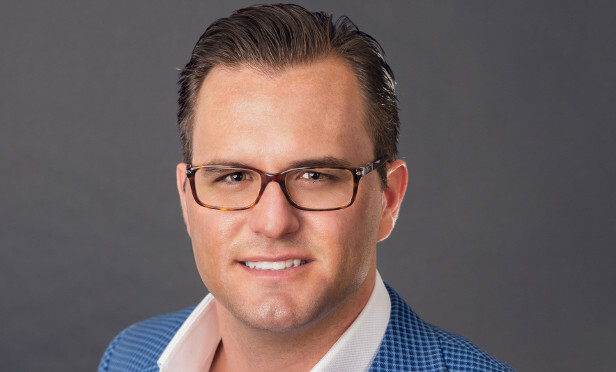 When it comes to owning parking structures, improving the customer experience is paramount, and this can be accomplished by making customer safety and service a top priority, EMMES Realty Advisors LLC’s VP Jordan Johnson tells GlobeSt.com. The firm recently acquired a 580-stall parking and retail facility at 1350 6th Ave. in Downtown San Diego on behalf of its affiliates and investors for an undisclosed price from an unnamed seller. The eight-story, 580-stall parking structure has approximately 14,000 square feet of ground-floor retail space. EMMES plans to make extensive upgrades to the property and to rebrand the facility to “6th & A Parking.” We spoke exclusively with Johnson about the firm’s plans for this property, how to add value to a parking structure and what it looks for when purchasing a parking structure. GlobeSt.com: What are your plans for the parking structure in Downtown San Diego that you recently purchased? Johnson: Planned improvements to the property and operations include a new on-site parking manager, repainting the exterior and interior of the building, rebranding with new signage, improving exterior and interior lighting, modernizing the elevators and various security enhancements. GlobeSt.com: What can parking-structure owners do to add value to their properties and bring in more revenue? Johnson: Improving the customer experience is paramount. This can be accomplished by making customer safety and customer service a top priority. We have hired an active and experienced parking operator to manage the building. We are making improvements to the building that are intended to modernize and revitalize the garage to create a well-lit, clean and safe environment. EMMES believes investing capital in an asset will improve customer experience, which will eventually lead to increased usage and increased revenue. GlobeSt.com: What do you look for when purchasing a parking structure? Johnson: Some of the basic elements we evaluated when acquiring the property included determining if acquiring the property makes sense in terms of a) the property’s stand-alone economics, b) in context of our existing Downtown San Diego office portfolio of 1.45 million square feet, c) our view of the growth trajectory for Downtown San Diego, d) proximity to demand generators, e) barriers to entry (inability to develop parking structures in Downtown) and replacement cost (i.e. is the cost to purchase below the cost? ), f) Is the building structurally sound? and g) Is there an opportunity to improve the property (either physically, operationally, or both)? GlobeSt.com: What else should our readers know about owning or buying parking structures? Johnson: Have a deep understanding of the marketplace and demand generators, and get to work quickly. We have already implemented a new operations and management team, and we have begun the process of modernizing the elevators, painting the interior and exterior and increased security presence.